April 17, 2019, witnessed the first simultaneous election of the presidency and the legislature in Indonesia since democratization in 1998, and the institutionalization of direct presidential elections in the country in 2002. Some 809,000 polling stations in the country were open from 7:00am to 1:00pm for the 192 million eligible voters to cast their votes on election day, a public holiday. Voter turnout was estimated at 80 percent or higher. Official results are not expected for a month, due to the size of the elections: 575 seats of the House of Representatives (Dewan Perwakilan Rakyat, DPR), 136 seats for the People’s Representatives Council (Dewan Perwakilan Daerah, DPD), 2207 seats in provincial elections, and 17,610 district elections. The following recounts polling results and also describes some challenging developments since election day. Quickcount results show President Joko (Jokowi) Widodo and his running mate, Ma’ruf Amin, chairman of the Indonesian Ulema council, have won the country’s highest offices. Quickcount results have also reported the president’s legislative coalition with a majority of the legislative seats. 10 parties constitute the President’s coalition and initial results show the president’s Indonesian Democratic Party of Struggle (PDI-P) leading with the largest number of votes, Golkar in third place, and with the National Awakening Party (PKB), and NasDem Party also doing well. Meanwhile, the opposition coalition supporting presidential candidate Prabowo Subianto, the Gerindra Party and its coalition partners, the Prosperous Justice Party (PKS), the National Mandate Party (PAN), are also successful at the legislative elections, with polls showing that Gerindra poised to become the second largest party in the legislature. That’s the good news. In particular, the President’s legislative majority contrasts against the aftermath of the 2014 elections where the opposition coalition coalesced into a majority that hindered the President’s agenda for a year before falling away to the President’s camp. The problematic news: Prabowo Subianto has rejected the quickcount results, in a replay of events immediately following the 2014 election quickcount outcome. In particular, in 2014, Prabowo refused to concede defeat and called to question of the objectivity of the quickcount polls. This time around, it’s even more dramatic: Prabowo has declared himself victorious in the election, making claims that quickcount results are biased, of irregularities and wrong-doing at the polls, and that “other” polls show he has clinched the presidency. In perhaps the slightest hint of concession, Prabowo has urged his supporters to refrain from “overreacting” to his declarations, although the former lieutenant-General has not refrained from issuing the declarations. Results are expected to be announced on May 22, 2019, 35 days from election day. There is a lot of hope that the world’s third largest democracy, and a country with the largest Muslim population in the world, will see the elections peacefully through to the end. This entry was posted in Asia, Indonesia and tagged 2019, 2019 General elections, 2019 presidential elections, Gerindra, Golkar, official results May 22, PDI-P, Prabowo's challenge on April 24, 2019 by Fiona Yap. The Finnish parliamentary elections held last Sunday (14 April) received international media attention primarily on account of the anti-immigration and nationalist The Finns Party finishing second, winning just one MP less than the Social Democrats that emerged as the largest party for the first time in the 21st century. Overall, all three leftist parties – the Social Democrats, the Green League, and the Left Alliance – won more votes and seats than in the Eduskunta elections held four years earlier, while particularly the Centre Party suffered a major defeat. Finland had been governed since the 2015 elections by a centre-right coalition that brought together the Centre, the National Coalition (conservatives), and the Finns Party. The top priority of the cabinet had been the reorganization of health and social services, which would have brought about both a larger role for the private sector in delivering such services (a key objective for the National Coalition) and the introduction of directly-elected regional councils (a key objective for the Centre that wins most of its vote in the rural provinces). The project had run into serious trouble in the Eduskunta, with also some backbench MPs of the governing parties voicing strong criticism and indicating that they might not support the bill. Finally, the project was buried on 8 March, with PM Juha Sipilä of the Centre Party immediately announcing the resignation of his government. With just over a month to go before the Eduskunta elections, many speculated that Sipilä had resigned in order to focus on the campaign, especially as the Centre was doing so badly in the polls. Sipilä seemed concerned about the Centre losing its core supporters in the rural areas, and hence he defended strongly the increasing use of logging and ‘sustainable use of forest resources’. In fact, climate change and the need to address global warming became arguably the leading topic of the elections, with particularly the left-wing parties advocating bolder measures that were criticized by the political right, not least by the Finns Party. However, apart from climate change the campaign themes ranged from the state of economy and employment (with the governing parties defending their good track record) to immigration, equality, and social security. European integration and foreign and security policy did not feature at all in the debates. Surprisingly the failed social and health care reform package was also by and large missing from the debates. The Finnish party system is very fragmented, with the largest party normally getting at most 20-25 % of the votes. This time the Social Democrats captured only 17,7 % of the votes (+1,2 % compared with the 2015 elections, the worst performance of the party after the Second World War) and 40 seats (+6 compared with the situation after the 2015 elections), the lowest-ever share won by the largest party in Eduskunta elections. While the polls had predicted a bigger victory for the Social Democrats, finishing first means a lot to the party and more broadly to the political left in Finland. The last time the Social Democrats won the elections was back in 1999, and hence Finland has not had a social democratic prime minister after the era of the ‘rainbow coalitions’ headed by Paavo Lipponen between 1995 and 2003. The inclusion of Social Democrats in the government is also crucial for the trade unions that received wide-spread criticism during the Sipilä government. Antti Rinne, the party leader and thus also the likely next prime minister, has a trade union background, and this no doubt strengthens the links between the new government and the corporatist actors. Rinne himself has been quite heavily criticized, and again there are question marks over his leadership as still between January and early April the support of the Social Democrats was according to polls around and even above 20 %. The Green League recorded its best-ever performance, winning 11,5 % of the vote (+3,0 %) and 20 seats (+5). However, the celebrations were nonetheless quite muted, especially as the polls had predicted a larger vote share for the Greens and many party activists surely hoped that the party would achieve the next step of joining the group of large parties in Finnish politics. Pekka Haavisto, a senior party figure with long experience from both national politics and international organisations, had been appointed as the interim party chair in November when Touko Aalto was forced to resign as party chair due to health issues. Haavisto, who was also the Greens’ candidate in the 2012 and 2018 presidential elections, intends to step down in June when the Greens have their next party congress. The Greens are in many ways close allies with the Social Democrats, and would thus be a logical coalition partner in a Social Democratic-led cabinet. The Left Alliance also achieved an election victory, winning 8,2 % of the vote (+1,0 %) and 16 seats (+4). Hence the combined seat share of the left-wing parties increased from 61 seats after the 2015 elections to 76 seats (38 %). International media coverage focused strongly on the Finns Party which finished second with 17,5 % of the vote (-0,2 %) and 39 seats (+1). When interpreting the results, we must pay close attention to the recent history of the party. The ‘new’ version of the Finns Party was established in summer 2017 when Jussi Halla-aho was elected as the party chair. Halla-aho, who has been convicted in court for hate speech, and the entire new party leadership focuses strongly on immigration issues and the new leadership also advocates more pro-market solutions than the ‘old’ Finns Party chaired by Timo Soini between 1997 and 2017. The support of Halla-aho’s party increased in the months leading to the elections, but the final result nevertheless took most observers by surprise. Halla-aho himself was the vote king of the elections, winning 30596 votes in the Helsinki constituency. Also many other leading anti-immigration figures, such as Laura Huhtasaari, Juho Eerola, and Ville Tavio performed strongly in their respective electoral districts. The election was at the same time a catastrophe for the Blue Reform, the ‘losing side’ of the Finns Party’s 2017 party congress. The Blue Reform was essentially put together by the more populist or moderate senior party figures that also were cabinet ministers, and hence many felt that they were just protecting their own ministerial positions. The Blue Reform thus continued in the cabinet and in the elections tried to defend the achievements of the Sipilä government. It managed to win only 1,0 % of the vote and failed to achieve representation in the Eduskunta, meaning also that the ministers of the party (Soini was not seeking re-election), including the party chair Sampo Terho, were not re-elected. The two main governing parties, the Centre and the National Coalition, did their best to defend the track record of the cabinet, particularly regarding employment rate. The National Coalition managed considerably better, finishing third with 17,0 % of the vote (-1,2 %) and 38 seats (+1). While party chair Petteri Orpo and the party faithful appeared jubilant, one could also sense disappointment as the National Coalition had won the 2017 municipal elections with 20,7 % of the vote and for a long time it had seemed that Orpo might become the next PM. The National Coalition and the Social Democrats have experience from governing together (1987-1991, 1995-2003, and 2011-2015), and the current prediction is that the new cabinet would be constructed around these two large parties. The Centre Party in turn captured only 14,5 % of the vote (-7,3 %) and 31 seats (-18), its worst performance in elections held after the Second World War. This was essentially a repeat of the 2011 elections. Back then the Centre had held the position of the prime minister for eight years, and also now the burden of governing took its toll. The market-friendly policies of PM Sipilä clearly alienated parts of the party’s electorate, many of whom lean more towards cooperation with the Social Democrats. If the Centre is not part of the next government (as appears likely), Finland may remain without directly-elected regional councils. Sipilä announced his resignation as the party chair after the elections. Of the smaller parties, the Swedish People’s Party received 4,5 % of the vote (-0,3 %) and held to its 10 seats (including the sole representative of the Åland Islands) while the Christian Democrats won 3,9 % of the vote (+0,4 %) and also retained its 5 seats. The final MP is Harry Harkimo, the leader of Liike Nyt (Movement Now) that very much ran an ‘anti-party’ campaign and advertised itself as a new way of making politics. At this stage it appears most likely that the new coalition will be formed between the Social Democrats and the National Coalition, and that it will include also smaller parties such as the Greens and the Swedish People’s Party. While Halla-aho has indicated willingness to make compromises and to take part in government formation talks, it is more likely that the Finns Party will continue in the opposition. In terms of the overall direction of domestic or European and foreign policy, the election result will probably not result in any significant changes. The political left is stronger now than four years ago, and this is probably good news for those defending the welfare state and the role of the trade unions. However, concerns about the state of the economy, including reducing public debt, act as a constraint on the new Finnish government regardless of its party-political composition. Turnout was 72,1 %, or 68,7 % when including enfranchised citizens living abroad. 93/200 (46,5 %) of the elected MPs are women. This entry was posted in Finland and tagged elections on April 19, 2019 by Tapio Raunio. Immunity from criminal prosecution for sitting presidents is a common feature of democratic as well as authoritarian regimes. [i] Shielding presidents from indictment and prosecution is designed to prevent members of the political opposition from weaponizing the criminal process and adding unduly to the already considerable burdens of political leadership. Besides, in most countries, there is a political remedy for presidential corruption or malfeasance—impeachment—which places the responsibility for the fate of an errant president in the hands of elected representatives rather than prosecutors or judges. Less common in presidential or semi-presidential systems is immunity from criminal prosecution for ex-presidents. [ii] Here the logic is different and more likely to apply in places where democracy has yet to be consolidated. In these circumstances, immunity for ex-presidents can encourage leaders to leave office at the end of their constitutionally-mandated term without fear of losing their property, their freedom, or their lives. In a word, immunity lessens the incentive for incumbent presidents to use constitutional[iii] or unconstitutional means to hold on to power. As the accompanying chart illustrates, there are some significant variations in the provisions set out in national laws. In the cases of Kazakhstan and Tajikistan, for example, immunity guarantees apply only to the first post-communist president during his lifetime. In Kazakhstan that is Nursultan Nazarbaev, who since 2010 has had the official title of Yelbasy, or Leader of the Nation; in Tajikistan it is Emomali Rahmon, who sports the even grander-sounding moniker of The Founder of Peace and National Unity—The Leader of the Nation. [viii] Given Nazarbaev’s unexpected decision last month to resign after 30 years at the helm of Soviet and post-Soviet Kazakhstan, he is now in a position to enjoy the ad hominem immunity that he helped to put in place over the last two decades, an immunity that protects not only Nazarbaev’s person but the property and bank accounts of himself and members of his family living with him. For his part, Tajikistani President Rahmon enjoys similar guarantees, except that the law covers all family members and not just those living with him, a provision that would seem to protect his grown children, including his oldest son, Rustam, who many view as the likely successor to his father as president of Tajikistan. Given their traditional positions as the most authoritarian regimes in former Soviet Central Asia, one might have expected Turkmenistan and Uzbekistan to have introduced versions of the Russian law on immunity that offered the broadest possible guarantees to an ex-president. However, in important respects, ex-presidents of Turkmenistan and Uzbekistan are more vulnerable to criminal prosecution than their peers in neighboring countries, at least according to the formal rules. First, in both Turkmenistan and Uzbekistan immunity protections extend only to those actions “taken in connection with the execution of the powers” of president, and thus would arguably not cover all of the actions of a president while in office. Second, by allowing the authorities to deprive an ex-president “of immunity if a criminal case is instituted in connection with the commission of a grave crime,” Turkmenistan grants considerable discretion to prosecutorial and judicial authorities. Finally, the Uzbekistani law on immunity for ex-presidents makes no mention of protections for property. Finally, in Kyrgyzstan there have been attempts over the last year to revise, or eliminate altogether, immunity protections for ex-presidents, an effort prompted by the ongoing feud between former President Atambaev and his hand-picked successor, Sooronbai Jeenbekov. Thus, while a country in the throes of authoritarian consolidation like Tajikistan has recently strengthened protections for ex-presidents, Kyrgyzstan is threatening to break with the Russian-inspired model of immunity for former leaders. The denouement of the year-long campaign in Kyrgyzstan to weaken immunity for ex-presidents will be the subject of my next post for this blog. [i] My thanks to Kelly B. Smith of Stetson University and Alexei Trochev of Nazarbaev University for bibliographic assistance on this post. [iii] By constitutional means I have in mind extending or adding terms of office. [vi] See Charles R. Shipan and Craig Volden, “The Mechanisms of Policy Diffusion,” American Journal of Political Science, vol. 52, no. 4 (October 2008), pp. 840-857. [vii] The countries referencing high treason as an exception are Burundi, Central African Republic, Cote d’Ivoire, Djibouti, Guinea, Madagascar, Mauritania, Niger, Senegal, Sudan, and Togo. These countries are among the 32 jurisdictions where ex-presidents enjoy some form of immunity; these cases are catalogued in the very useful compendium prepared by the Law Library of the Library of Congress. Immunity from Prosecution for Former Presidents in Selected Jurisdictions (Washington, DC: Law Library of the Library of Congress, October 2017). For a perceptive analysis of immunity for presidents and ex-presidents in African states, see Charles Manga Fombad and Enyinna Nwauche, “Africa’s Imperial Presidents: Immunity, Impunity and Accountability,” African Journal of Legal Studies, vol. 5, no. 2 (2012), pp. 91-118. [viii] Vladimir Putin has been referred to at times in some Russian media outlets as the leader of the nation, though as yet that is only an informal label. This entry was posted in Central Asia, Russia and tagged Central Asia, Post-communist countries, President's immunity, Russia on April 15, 2019 by Eugene Huskey. Authoritarian and liberalization appear to alternate regularly in Ottoman–Turkish constitutional history. Moves towards authoritarianism were often motivated by intense power struggles between conservative forces opposing westernization/modernization and favoring political Islam, while reformist/revolutionary forces favoring secularization, democratization motivated changes towards the other end. Authoritarian turns were instigated by one of the three following coalitions: civil forces that came to power in a relatively democratic environment but were not willing to hand over political power through free and fair elections; revolutionary civil forces aiming to design a new society, regime, and state based on their revolutionary ideas; or military forces that had no intention of establishing a long military rule, but wanted to design a constitution reflecting their vision of the state. 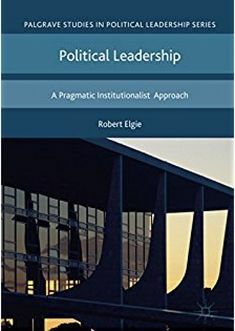 Liberalization turns, on the other hand, come with an alternation in political power (removal and replacement of government by a civil competitor), and are characterized by a return to relatively free and fair political competition. The Justice and Development Party (AKP)-led government is consistent with a civil competitive authoritarian regime, i.e., coming to power in a democratic environment but not willing to hand over political power through free and fair elections and turning increasingly autocratic since the Gezi protests in 2013. However it seems that this regime has run its course and the cycle may turn in favor of liberalization once again, if the local elections on 31st of March are any indication. Specifically, even though President Erdoğan’s alliance (the AKP and MHP) won %51.6 of the votes, they suffered a loss of 8-9 percent in comparison to previous local elections; more importantly they lost major cities including the capital Ankara. The biggest blow came from Istanbul, the economic centre of the country. According to the first official results the opposition candidate Ekrem İmamoğlu won the election with a slim margin of 0.28 despite heavy pro-government media that showcased the polarising rhetoric of President Erdoğan, directly targeted opposition candidates, and systematically pressured the opposition that typified neo-patrimonial award-punishment processes. On April 9, the AKP leader Erdoğan and his alliance have demanded a recount to challenge the outcome, clearly unwilling to accept this loss. Regardless of the result of this challenge, it seems clear that the AKP and its leader Erdoğan is losing influence on the people in big cities. The economic crisis is eroding support from the working class, and it seems that his polarising rhetoric is no longer effective. Erdoğan made the election a vote of confidence for himself and his regime; it seems that the people of major cities have turned in a vote of no-confidence. Rejecting the ballot results for Istanbul, then, may lead to the loss of the only legitimising factor in Turkey, given that performance legitimacy has completely eroded due to the economic recession. Such a move may shorten the remainder of the Erdoğan rule. Equally important, economic crisis and end of privatizatio have eroded Erdoğan’s ability to use the neo-patrimonial reward-punishment processes that has maintained the AKP’s hegemony. Offices of mayors, especially the Istanbul metropolitan Mayor, have been chief beneficiaries of such rewards, and they have benefited notwithstanding rife allegations of corruption in the 25 years of AKP rule in Istanbul metropolitan city. Loss of big cities ends any additional resources for patromonial rewards and, instead, bring new evidence of corruption. Christopher Carothers contends four major factors leading to regime breakdown in a recent article on competitive authoritarian regimes. [i] One factor cited is the loss of mayoral elections, where an electorate seeking an alternative to the ruling party may hasten the process when it sees some success at mayoral level, notwithstanding the heavy pressure from the government. Opposition mayors in Turkey, then, share a responsibility of creating an alternative for Erdoğan’s long lasting rule. Henry Hale in his book on patronal politics explains client organisation, resources and expectations of clients are critical to maintaining a patronal network. [ii] Clients (state elites including judiciary, media networks etc., party elite) monitor and deliver rewards for the patron, and follow patrons when they expect other clients to do so. Problems with organisation and resources influence expectations and expectations determine obedience and follow-through. Patronal relations breakdown when clients see or believe that a patron is no longer able to control the patronal network. Deteriorating political support, emergence of political alternatives, and shortage of reward resources have already fanned impressions that President Erdoğan is unchallengeable. The results of recent elections seems to signal the beginning of an end, even if only a slow end, for the patronal rule of President Erdoğan. [i] Christopher Carothers, “The Surprising Instability of Competitive Authoritarianism”, Journal of Democracy, vol. 29, number 4, October 2018. [ii] Henry E. Hale, Patronal Politics Eurasian Regime Dynamics in Comparative Perspective, (New York: Cambridge Uni. Press, 2015), 31-35. This entry was posted in Europe, Turkey and tagged 2019 elections, Erdoğan, Justice and Development Party (AKP) on April 12, 2019 by Şule Özsoy. On March 31, 2019 Ukraine held the first round of the presidential election. With 100% of the votes counted, the Central Election Commission announced that Volodymyr Zelensky won the first round with 30.24% of the votes. The current President, Petro Poroshenko, came second with 15.95%. The second round of election is scheduled for April 21, where the political outsider and famous comedian Zelensky will face the incumbent. Volodymyr Zelensky is a new face in Ukrainian politics. He is a comedian, who is currently starring in a TV show entitled “Servant of the People.” In the show, Zelensky plays a high school teacher who becomes president after fighting corruption. The show is available on Netflix. The election results were not surprising to the political observers. The pre-election polls have consistently projected a victory for Zelensky in the first round with 25-30% of the votes. Both the incumbent president and Yulia Tymoshenko, former Prime Minister, have been consistently trailing in the polls behind the comedian. Zelensky came to the race using primarily social media outlets. One of his campaign members openly admitted that they had only one platform – the internet. Zelensky could be frequently seen on his Facebook page speaking to the voters directly. In one of the videos, he even tries to crowd source his election program. Openly criticizing other candidates and political parties for their lack of distinct programmatic appeals as well as pledge fulfillment, he asks citizens to submit their own suggestions for the policies they would like to pursue and problems that they would like to address. Zelensky’s lack of political experience or even political program has not fazed the Ukrainian voters. Tired of old-school politicians, the voters seem to want something new and different. Experts have argued that the trend is not unique to Ukraine. Zelensky’s popularity and victory in the first round have been compared to other political outsides who won the executive office in the past couple of years. The list is long and includes US President Donald Trump, Zuzana Čaputová, recently elected president of Slovakia, as well as French President Emmanuel Macron. Before the second round of elections on April 21, the top two candidates will face off in the presidential debate in front of a 70,000-seat stadium in Kyiv. This entry was posted in Europe, Ukraine and tagged presidential election on April 10, 2019 by Svitlana Chernykh. A novice to national politics, environmental and anti-corruption activist Zuzana Čaputová defeated the Vice-President of the European Commission for Energy Union Maroš Šefčovič, in a runoff of the Slovak presidential elections. Her victory reflected growing dissatisfaction with the current government, especially with the Smer-Social democracy (Smer), the senior coalition member. The overall results signal a possible realignment on the political scene ahead of the parliamentary elections scheduled for March 2020. Three events in 2018 strongly impacted the political atmosphere in Slovakia and directly influenced the presidential election and its outcome: Firstly, the country was shocked by the murder of an investigative journalist Ján Kuciak and his fiancée Martina Kušnírová in February 2018. Kuciak’s work focused on the possible corruption involving elected politicians, high public officials, and the criminal underworld. The country experienced a wave of anti-government mass protests, the largest demonstrations since the fall of the communist regime in 1989. Secondly, amidst the protests, Prime Minister Robert Fico of Smer resigned, paving the way for a reconstruction of the three-party government under the Smer-nominated prime minister Peter Pellegrini. Thirdly, president Kiska officially announced in May 2018 that he would not seek re-election. Though Kiska hinted on his continued involvement in Slovak politics, at the time he refused to provide any details, citing the need to complete his mandate as the president above day-to-day party politics. With Kiska’s announced departure, the presidential contest had no clear favorite. Early opinion polls suggested a host of potential candidates polled just about 10% support, with Miroslav Lajčák, a Smer-nominated Foreign Minister being a front-runner, should he decide to run. Robert Mistrík, a nominee of the opposition Freedom and Solidarity (SaS), aspiring to become the preferred candidate of the democratic opposition, polled neck to neck with the leader of the extreme-right Peoples’ Party Our Slovakia (ĽSNS) Marian Kotleba, a controversial Supreme Court Justice Štefan Harabin, the leader of the governing Slovak-Hungarian Most-Híd party Béla Bugár and Veronika Remišová, the leading parliamentarian of the opposition Ordinary People and Independent Personalities (OĽaNO) grouping. Zuzana Čaputová, nominated by extra-parliamentary Progressive Slovakia, seemed to stand no chance. However, Lajčák repeatedly refused to enter the presidential race, citing his desire to continue his career in diplomatic service. Smer leader Robert Fico ruled out his presidential ambitions and instead announced his bid in January for one of the nine vacancies at the Constitutional Court. Nevertheless, the issue became an important issue of the campaign: the outgoing president Kiska declared he would not appoint Fico to the top court; the prospective presidential candidates also had to take a stance concerning the matter. To maximize chances of a pro-democratic candidate to reach the runoff, OĽaNO and the Christian Democratic Movement (KDH) did not field any candidate. Also, they attempted to facilitate an agreement among Mistrík, Čaputová and František Mikloško (formerly of the KDH) that whoever of the three had the strongest popular support should get the endorsement of all the others before the first round of the election. Eventually, Mistrík and Čaputová agreed, while Mikloško decided to stay in the race. Smer eventually nominated Maroš Šefčovič, the Vice President of the European Commission, who led the Smer party list in the 2014 European Parliament elections. Šefčovič, nominally a non-party independent, received substantial financial support from, and public endorsement of, Smer party and its leaders. Even though he has had a relatively liberal and pro-European social democratic record, his campaign had to rely on the more socially conservative support base of Smer. During the party rallies, Fico likened him to an 18-century Slovak folk hero; Šefčovič himself declined to take a clear stance on issues critical of Smer and its leader, and eventually even profiled himself as a champion of traditional Christian values. The critical phase of the campaign – and Čaputová’s rapid increase of popularity – came with the first televised debates among presidential contenders. She presented herself as a thoughtful, calm and firm voice of social justice, criticizing defects in the rule of law, yet refraining from negative campaign and ad hominem attacks. Her performance seemed to resonate well with the public expectations and the general mood in the country. Robert Mistrík eventually honored their agreement, withdrew from the race, and unequivocally supported her before the first round. As a consequence, Čaputová’s approval ratings quickly reached 40-50%. Her main opponents concentrated on getting to the second round: Maroš Šefčovič presented himself as an experienced politician, respected at the European scene, ready to lead the country and defend its national interests. Štefan Harabin appealed to disillusioned voters with his outright dismissal of the established political elites: He promised to exercise the presidential powers to the fullest extent, taking an active role in foreign policy to protect the country against what he called the dangers of Islamization and the loss of national sovereignty in the EU. Marian Kotleba of the extreme-right ĽSNS echoed his rhetoric, pointing out that Harabin himself contributed to the erosion of Slovak sovereignty by being a Justice Minister of the government that agreed with the EU Lisbon Treaty. Čaputova won the first round held on March 16, gaining 40.6%, followed by Šefčovič, who received 18.7%. Harabin and Kotleba gained 14.4% and 10.4%, respectively, followed by Mikloško (5.7%) and the other minor candidates. With two weeks to the runoff, Šefčovič attempted to close the gap by aggressively addressing the supporters of Harabin and Kotleba: The day after the first round he portrayed himself as the champion of traditional Christian conservative values, criticizing Čaputová for her openness to LBGT agenda. He even claimed that he, as the member of the European Commission, actively opposed the Commission-sponsored proposal that would enable the relocation of asylum seekers across the EU countries. Later on, he returned to his previous agenda, stressing his experience and credentials in international politics. Čaputová, on the other hand, stood on her original message. As the favorite, she concentrated on mobilizing her support base from the first round, underlining the result of the contest were open. Her support reached 58.4%; her opponent gained 41.6%. Compared to 48.7% in the first round, turnout dropped to 41.8%, reflecting the fact that many supporters of Harabin and Kotleba did not take part in the runoff. Those who did mostly voted for Šefčovič. Čaputová managed to win over younger, and better-educated voters. Šefčovič’s support base contained mostly older, less educated voters who tend to support Smer. Čaputová’s victory has significant consequences for the overall political development. Following the 2016 parliamentary elections, the presidential elections was a second nationwide contest that signaled a transformation of Slovak politics towards a tripolar configuration with a significant role played by the anti-establishment, anti-EU and extreme right parties. Even though two pro-European and democratic candidates succeeded, the proportional electoral system to the national parliament will probably ensure an increased parliamentary presence of antisystem, populist and radical parliamentarians. Presidential executive powers are limited. Nevertheless, President Čaputová will be appointing the next prime minister. Given an increasing fragmentation of the parliament and the likelihood that the next coalition government will consist of several parties, the influence of the president in the process will grow. A transformation of the Slovak party scene is likely to be further deepened by the announcement of outgoing president Kiska that he will set up a new political party after his departure from the presidential palace. A recent poll indicated some 9% of voters would “definitely” vote for his party and an additional 31% was “likely” to vote for it. Furthermore, a post-election poll also indicated the rise of Čaputová’s party, approaching double-digit numbers. It is still too early to come to definitive conclusions. Nevertheless, the 2019 presidential elections seem to be a prelude to a far-reaching transformation of the Slovak political scene. This entry was posted in Slovakia, Uncategorized and tagged elections on April 8, 2019 by Marek Rybář. There were good reasons for President Muhammadu Buhari to seek to make a big impact in the days following his re-election. Having been accused of not having the energy needed to run one of the world’s most complex countries, he has a strong incentive to cultivate a new dynamic reputation. The controversial nature of the elections, which were rejected by the opposition despite his comfortable victory – with Buhari’s main rival calling the polls a return to “military dictatorship” – provide another reason to grasp the political mantle. The country’s poor economic condition, complete with continuing local resistance to central state authority in parts of the north and also the east of the country, also suggests that urgency is required. One might also expect Buhari, for whom this represents an important opportunity to supplement his existing reputation as a stoical military leader with a degree of democratic legitimacy, to be determined to make the most of his final term in office – Nigeria employs a two-term limit on the presidency, and this has so far been respected by all multi-party leaders in the current political dispensation. Despite this, the first few weeks of the President’s second term have been anything but dynamic. There have been no fresh initiatives to rebuild bridges with disgruntled members of the Igbo community, some of whom speak of the need to return to the days of Biafra – bringing back memories of the hundreds of thousands of deaths and the widespread suffering that occurred following the attempted secession of the Eastern region in 1967. The pace of economic reform is also closer to a crawl than a sprint. While the government will increase the national minimum wage from Naira 18,000 to N30,000, after this was approved by the Senate in mid March, it is not yet clear how this will be funded. One option – supported by the International Monetary Fund and the World Bank – is to bolster revenues by increasing and effectively collecting Value Added Tax (VAT). However, while the Chairman of the Federal Inland Revenue Service, Babatunde Fowler, has stated that the government intends to raise greater revenue VAT – potentially from 5 to 7.5% – this plan has been in the background for some time and there seems to be no urgency about implementing it now. The slow start of the new government appears to be rooted in three main factors. The first is that the electoral cycle continued after the presidential election, with a further round of sub-national elections, including for local representatives and the influential position of Governors, held in 29 of the country’s 36 states. These contests have been particularly hotly contested, with considerable evidence of electoral manipulation and no little political unrest. As a result, Buhari’s government has invested more effort in consolidating its hold on power than in governing the country. The second is that Nigeria is stuck in a rut because the most effective policy options available to the government are unpalatable and have been for some time. Many of the policies that might actually generate revenue and so create new possibilities for government investment are unattractive precisely because they would be politically unpopular. Increasing and implementing VAT, for example, would mean asking citizens who feel that their government is failing to provide for them to pay more for the privilege. The response could be similar to that which greeted an increase in the removal of fuel subsidies in 2012 – popular protests and the emergence of a growing sense that the government is part of the problem rather than part of the solution. The third factor is that President Buhari himself seems to have run out of ideas. Despite the vast amount of money invested in his re-election, there is no evidence that he has the vision or energy required to effectively lead the country. Back during the chaotic reign of President Goodluck Jonathan, Buhari’s focus on order and discipline appealed to ordinary Nigerians fearful of the spread of Boko Haram and unrestricted corruption. Now that the memory of Jonathan is starting to fade, and the country desperately requires a more creative and inclusive development strategy, the former military ruler’s limitations risk being painfully exposed. Time will tell whether the more reformist elements around the president will be able to impress on him the need to respond more effectively to the popular thirst for change. If not, it could be a long and painful second term for one of Africa’s most powerful leaders. This entry was posted in Uncategorized on April 3, 2019 by Nic Cheeseman. This post was co-authored with Andrés Palma of the School of Political Science, University of Costa Rica. The morning of March 19th, 2019 Costa Ricans woke up with the news that the indigenous leader Sergio Rojas Ortiz had been murdered. He was shot numerous times the night before in Salitre, an indigenous reserve in Buenos Aires, province of Puntarenas, located at the southeast of the country, which has been the focus of a conflict over land during many years. The situation had a big impact on news outlets and specially on social and academic circles. The broader repercussions of the incident involved—apart from the public anguish for the incident—the government who was accused of indifference towards the conflict situation in Salitre to which has been aware of for many years, with some blaming the government—and even the President Carlos Alvarado—for Rojas Ortiz’s death. The murder of this indigenous leader takes place three years after the murder of the Honduran indigenous leader and environmentalist, Berta Cáceres in the department of Intibucá, Honduras. Cáceres was general coordinator of the Civic Council of Popular and Indigenous Organizations of Honduras (COPINH). At the time of her murder, she was leading a movement against the construction of a hydroelectric dam on the Gualcarque River (department of Intibucá). Before her death, Cáceres reported receiving several death threats against her and members of her family, about which some argue that the Honduran State did not follow due. In both, Costa Rica and Honduras, the indigenous leaders were beneficiaries of precautionary measures granted by the Inter-American Commission on Human Rights since 2015, for which their respective governments had to guarantee their safety. Their lack of effectiveness or negligence is one of the reasons why in these two countries governments are being made responsible for the murders of these leaders. The deaths of Rojas Ortiz in Costa Rica and Cáceres in Honduras remind us that societies in Latin America are multicultural, and that there are ethnic minorities that due to their culture and ancestral past, possess special rights recognized by international law. However, the State, as the comparative politics scholar Donna Lee Van Cott reminded us, in many cases does little to enforce those rights, with negative consequences for democracy: “Even where relatively free and fair multi-party elections are regularly held, governments violating the rights of ethnic minorities and indigenous peoples, or failing to constrain dominant groups from oppressing and exploiting others, prevent their citizens from enjoying democratic rights and political freedoms”. Clashes between ethnic groups are common in different parts of the world and they have motivated multicultural public policies. Why is this happening in Costa Rica? In Costa Rica as in the Honduran case—as in other parts of Latin America—there is mobilization from indigenous organized groups which are associated with other national and international social movements, often linked to leftist political movements. In the reminder of this post we focus on the recent events that took place in Costa Rica. Sergio Rojas Ortiz was broadly known for his leader role in the Bribri’s cause in Salitre—to protect and preserve their land from illegitimate foreign farmers and landholders. The Bribri are one of the eight indigenous groups that inhabit Costa Rican territory. Rojas and other Bribri have strived for the indigenous people rights, locally and in a nationwide scale. As a minority in the country, the Bribri—as other indigenous groups—have had limited access to the fulfillment of their demands. In Costa Rica, the indigenous people represent a very small minority. In the last 2011 census, the people that identified themselves as indigenous were around the 2.5% of the population of the country. These populations live mostly in rural areas. Many believe that historically, the Costa Rican government has been in debt to this minority as their rights have not been respected entirely, albeit the Indigenous Law of 1977 protects their rights and in recent years there has been an approach from authorities to jointly satisfy their grievances. In the Salitre’s Bribri case, the Costa Rican State might had indirectly allowed the hoarding of lands that by law are restricted to only natives. Sergio Rojas himself—and what he stood for—caused frictions among the people of Salitre. While it is true that the location is an indigenous reserve protected by law, there are non-indigenous “white” people (the Sikuas) living there, and the clashes between the Bribri and Sikuas were increasingly recurrent in recent years. The main reason for that is that the Bribri started land recovery processes against the Sikuas, in which—not a few times—violent incidents were registered, causing the need of constant vigilance of police authorities to avoid new riots and attacks from the confronted sides. The situation of Salitre is in fact more complicated, with historic and ethnic differences being central to understand the conflict. In Salitre—one of the four indigenous reserves of the Bribri in Costa Rica—the Bribri, Sergio’s ethnic lineage, and the Brörán—another ethnic ascendancy—live in constant disagreements between them. This has also led to violent episodes, as the former have accused the latter of being allies of the Sikuas, and of not respecting their sacred land which has to be for no one but the natives. The physical violence between Brörán and Bribri has not been usual, but when the Sikuas are involved, the discrepancies amongst them arise. In these circumstances, the confrontations remain frequent, and the State approach about this has not been satisfactorily coherent. The problem even got international relevance as the Inter-American Commission of Human Rights in 2015 demanded that the Costa Rican government—under the administration of President Luis Guillermo Solís—to adopt all the necessary actions to respect the Bribri’s claims and rights. This was almost four years ago. Yet, machete wounds in indigenous men and women, house fires, and shootings are still common in this area. In the end, the measures were not abided by the government, as problem exists nowadays, with the death of Sergio Rojas as proof. The next day after Sergio Rojas’s death, President Carlos Alvarado Quesada convened a press conference, in which he stated that “this is a tragic day for the Bribri community, the indigenous people and for all of Costa Rica… We manifest our pain and indignation to his family and all the Bribri people”, he also insisted on the trust he has on the Judiciary, to get with those responsible for the crime, and his compromise with the respect of the Human Rights, minorities and aboriginal rights. Also, the President commanded the police to give Rojas’ family protection; correspondingly he requested for dialogue and peace. As the days go by, doubts persist about the possibility of coming to a viable solution. There is, evidently, a beforehand lack of trust from the Bribri people towards the government and the justice system. This is one of the main reasons why they try to recover their lands by their own means. The violence experienced in recent years and the murder of the leader Sergio Rojas puts even more pressure on the government to solve the conflict. A week after the events, the government, headed by president Alvarado sent a group of vice ministers and other officials to keep track of the situation in Salitre, as pressure from national and international organizations mounts on the government to fulfill the rights of the indigenous minority. This entry was posted in Uncategorized on April 3, 2019 by Juan Muñoz-Portillo.